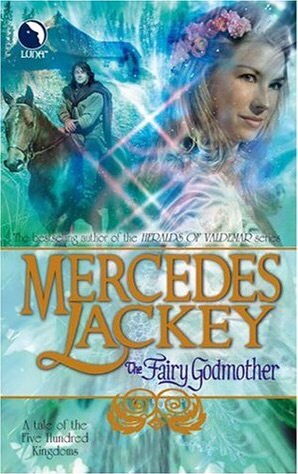 Dangerous TraditionsA review of Mercedes Lackey’s The Fairy Godmother (Luna, 2004). Fairy tales have their own system of internal logic, a certain path that follows ideas of destiny and heroism. 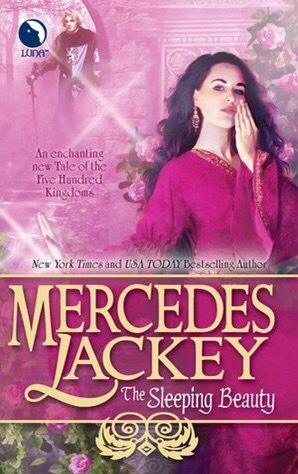 In Mercedes Lackey’s “The Fairy Godmother“, this internal logic is called The Tradition and it serves as a guiding force for the world of the five hundred kingdoms. Characters are propelled by The Tradition to make decisions, change their lives, and be brought down the path to destiny. Elena ends up being caught up in The Tradition, propelled toward a Cinderella tale that is incapable of ending in a happy ending because her Prince Charming is far too young. However, the accumulated magic around Elena, the force that should empower her happy ending is still swirling around her, trying to compel a narrative that she is unable to live. She is eventually visited by her Fairy Godmother, who explains The Tradition to her and offers to either take the magic away from her so that she can live a normal life or make Elena into a fairy godmother, a being who consistently modifies The Tradition so that people can live happy, safe lives without too much fairy tale tragedy. Lackey explores the potential of fairy tales as a shaping narrative, a governing force in a universe. She examines the question of what occurs when a fairy tale goes awry, when it cannot end in a happy ending. Lackey explores the issues with a dual morality system, where one can only either be good or evil and any that have moral ambiguities end up caught between systems, pulled constantly back and forth between destinies. She examines the areas of fringe in a system that doesn’t allow for ambiguities, the uncertainties that are generally erased from the simple ideologies governing fairy tales. Lackey’s “The Fairy Godmother” invites readers to question fairy tales and complicate them, exploring those fringe areas and areas of uncertainty around the narratives we construct to better understand ourselves. The role of the fairy godmother in this tale is to mitigate some of the tragedy visited on those who don’t fit the fairy tale mould, those who exist outside of the easy systems of understanding provided by our narratives. Through the role of the fairy godmother, Lackey brings attention to the issues that arise from the narratives we create to understand ourselves, and the people who end up suffering when they live lives that don’t fit society’s mould Lackey points out that we are all fairy tale creatures constantly being pushed in certain directions by our society’s traditions and constantly needing a fairy godmother to help shift those narratives to allow inclusion of those who traditions ignore or erase.